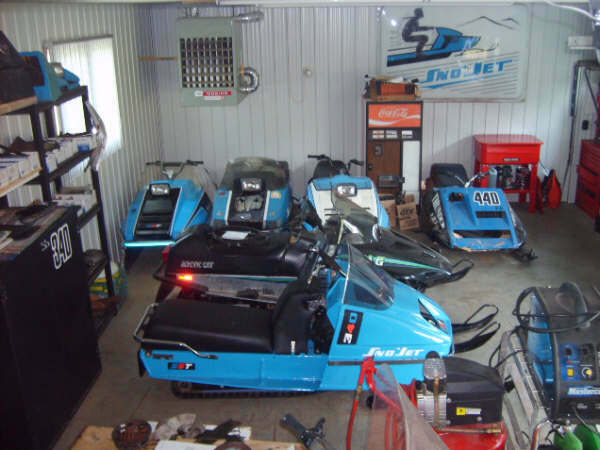 Yves has quite the Sno*Jet Collection! 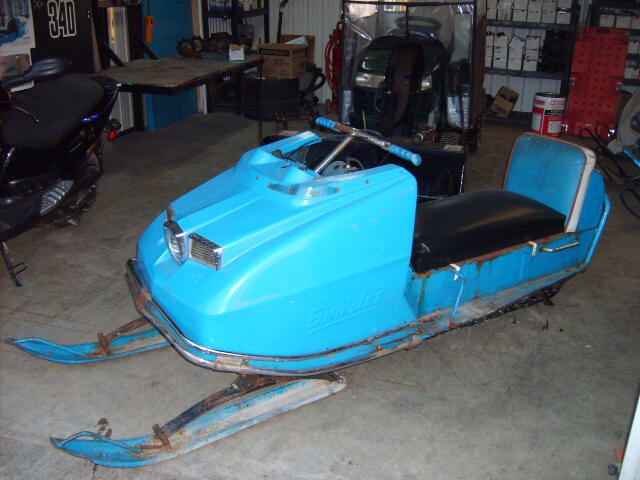 This first sled shown, well, we're not exactly sure what it is. 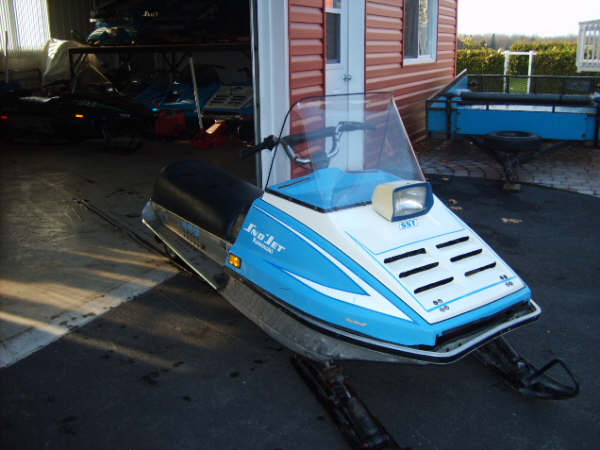 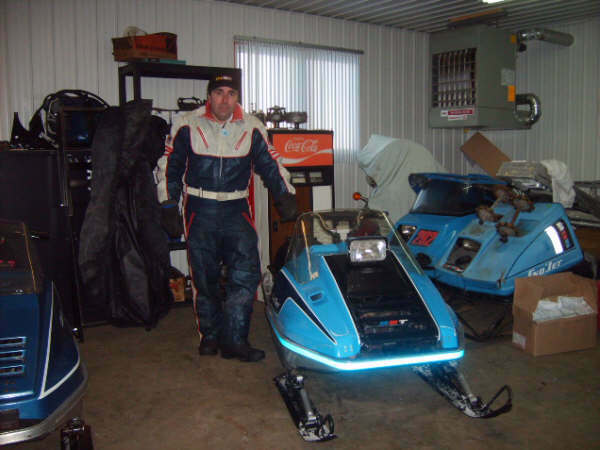 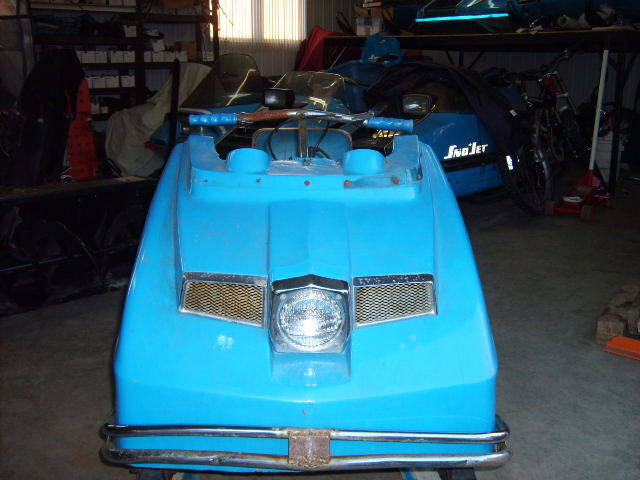 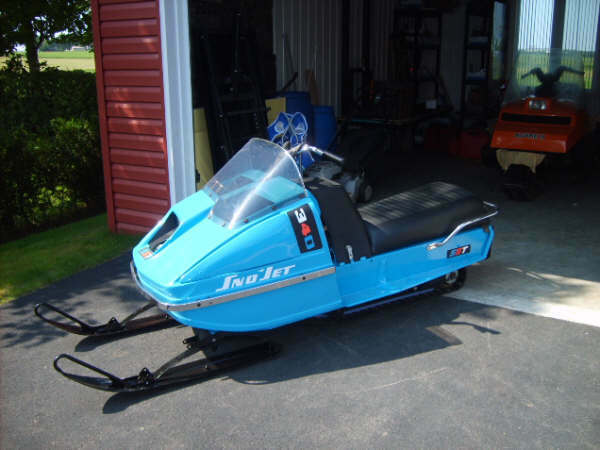 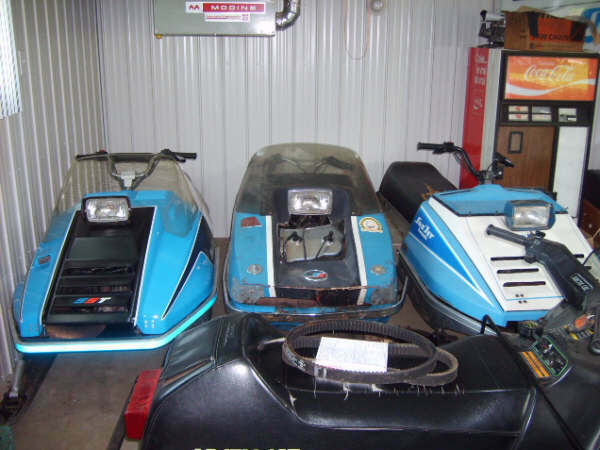 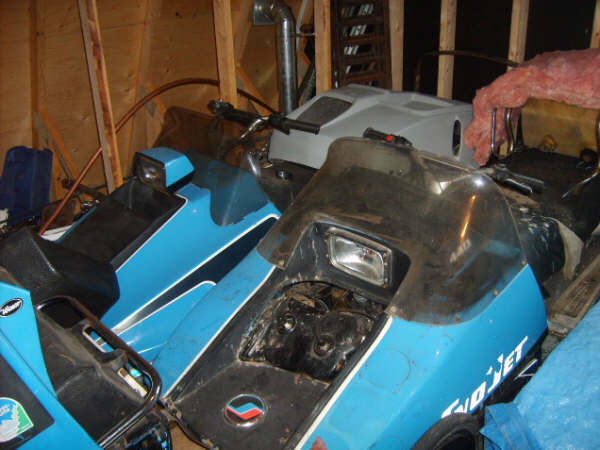 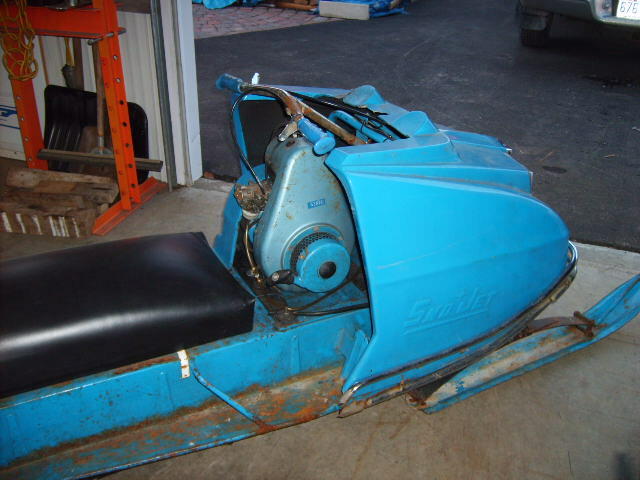 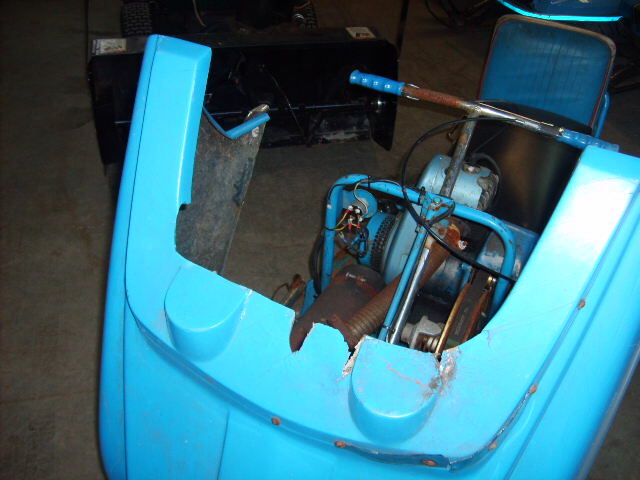 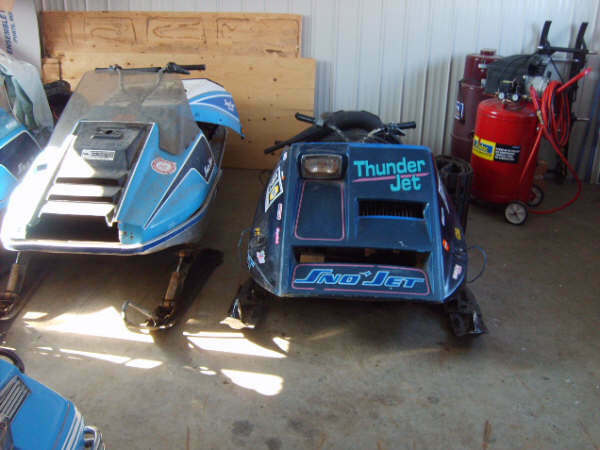 It is still being researched, but is most likely some sort of Cross Country Model of a 69 or 70 Sno*Jet. 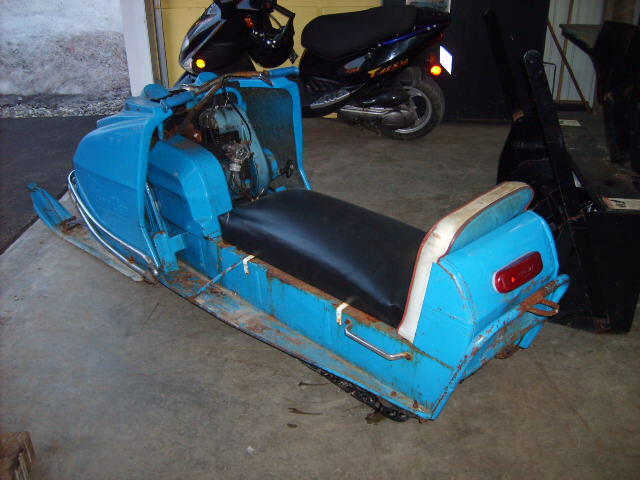 We'll update this with more information when we figure out what it is. 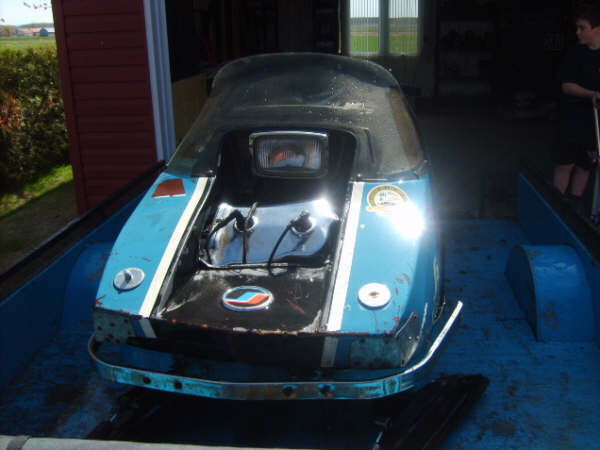 Scroll down to see the rest of Yves sleds.